In 1871 Paris was a city in crisis. Besieged during the Franco–Prussian War, its buildings and boulevards were damaged, its finances mired in debt, and its new government untested. But if Parisian authorities balked at the challenges facing them, entrepreneurs and businessmen did not. 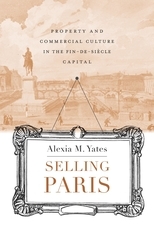 Selling Paris chronicles the people, practices, and politics that spurred the largest building boom of the nineteenth century, turning city-making into big business in the French capital. 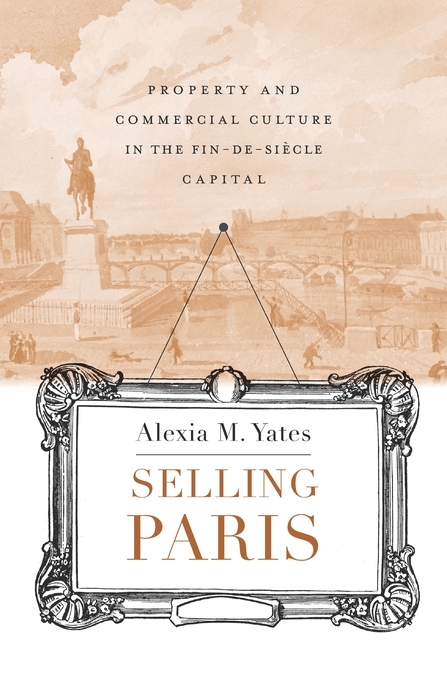 Alexia Yates traces the emergence of a commercial Parisian housing market, as private property owners, architects, speculative developers, and credit-lending institutions combined to finance, build, and sell apartments and buildings. Real estate agents and their innovative advertising strategies fed these new residential spaces into a burgeoning marketplace. Corporations built empires with tens of thousands of apartments under management for the benefit of shareholders. By the end of the nineteenth century, the Parisian housing market caught the attention of the wider public as newspapers began reporting its ups and downs. The forces that underwrote Paris’s creation as the quintessentially modern metropolis were not only state-centered or state-directed but also grew out of the uncoordinated efforts of private actors and networks. Revealing the ways housing and property became commodities during a crucial period of urbanization, Selling Paris is an urban history of business and a business history of a city that transforms our understanding of both.